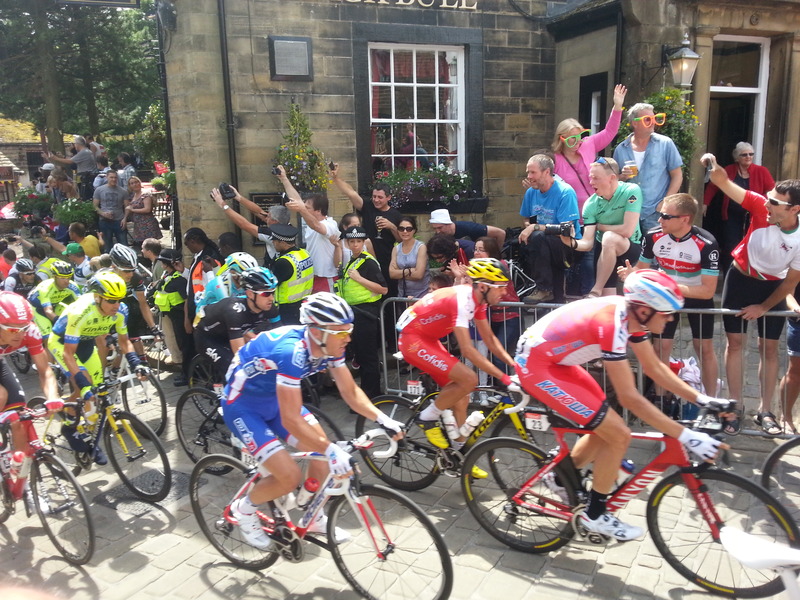 Over the weekend of 5th and 6th July 2014 the county of Yorkshire hosted the Grand Depart of the 101st Tour de France. The event was an overwhelming success, with cyclists and spectators from all over the globe turning up to watch what has been hailed the grandest Grand Depart in the world’s biggest cycle race’s history ! Preceded by a “caravane” of sponsor vehicles and media, the peloton raced through the Yorkshire Dales and Bronte Country while watched on TV by the eyes of the world. Literally millions of people turned up to view the event at the roadside, which establishes beyond any doubt Yorkshire‘s status as a great cycling tourist destination !